(Nashville, Tenn. – October 14, 2016)— Ty Herndon’s much anticipated, full-length album House On Fire is now available for pre-order on iTunes and Amazon. From track to track, Herndon has made the most engaging, meaningful and fulfilling music of his career. Featuring Herndon’s powerful trademark vocals, the new album is already receiving critical accolades and showcases a deeper, greater strength from a man who has been there and back and has lived to tell about it. 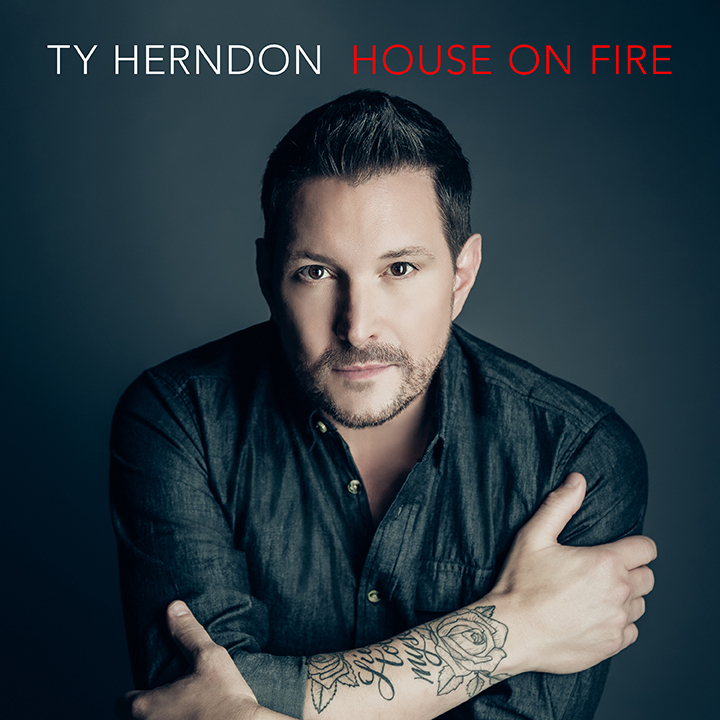 House on Fire is the next evolution of Ty Herndon. Herndon’s 20-year career has resulted in an impressive string of hits, which includes four No. 1’s (“What Mattered Most,” “Living in a Moment,” “It Must Be Love,” “Loved Too Much”), as well as numerous top 10 hits, including “I Want My Goodbye Back,” “Loved Too Much,” “A Man Holding On (To a Woman Letting Go),” and “Hands of a Working Man.” He’s had 20 Billboard charted singles to his credit, numerous industry awards, and more than five million albums sold. For more information on Ty Herndon, please visit www.TyHerndon.com.